It is important that your service dog is clearly identified as such when in public. Why? 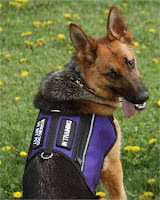 • A vest, patch, tag, or badge that identifies your dog as a service animal will help ease access for you both. • The public is alerted that your dog is at work. You may choose to encourage or reduce the public’s interaction with your service animal by choosing a specific patch or tag. • If you are having a medical emergency, the presence of a clearly identified service dog with you can help speed a response. 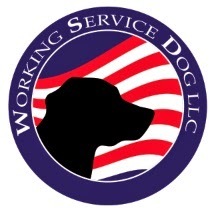 Workingservicedog.com carries a wide variety of service dog vests, service dog capes, patches, ID badges, and ID tags that will allow you to identify your service dog clearly and in the way you choose. Let us help you customize your dog’s “work uniform”!